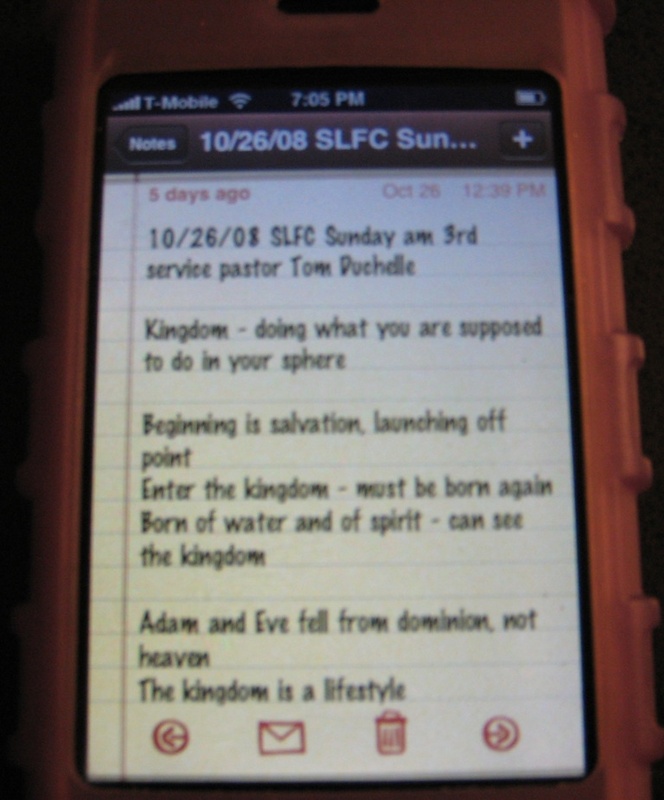 I am going to start posting my raw sermon notes from St. Louis Family Church on my other blog, PlanetSonia.com. 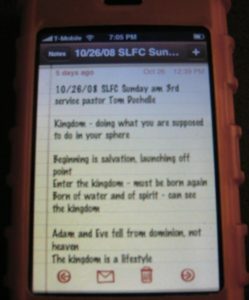 I’ve been taking digital notes since last year when I got my iPhone, and I type around 35 WPM, so I catch quite a lot of good info at church. All the scripture verses will be there, so that will at least be a good starting place for anyone wanting to study the Bible. And just a quick reminder, if you want to read my writing, marketing, and business tips, check out ColemanUnlimited.com. I’ve been capturing some of my best time-savers there, and I have great intentions of eventually sending out a newsletter, but until then, get an RSS subscription through Google Reader! Is this RSS deal what Brett does to know when I’ve written new stuff on my site?